You have to be very talented to turn a simple thing like a pizza into something hype. It’s only flour, water and a bit of salt, after all, you might think. But you’re wrong: just a few weeks after opening, Grazie, the new pizza and cocktail outpost on the upper Marais, is already the place to be. Grazie is the latest buzz, a hybrid place, a concept-restaurant, something between pizzeria and cocktail bar in a deconstructed, rough & ready décor. 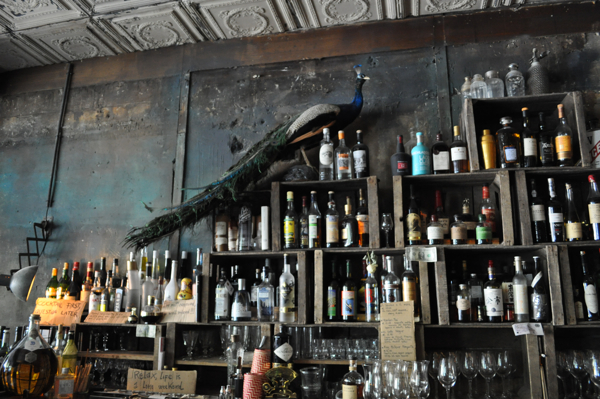 The peacock on the knocked together shelves of the bar looks as he has been sitting there forever. The place has patina, but the truth is, the past comes out of imagination here, it’s “mise en scène”, exactly the kind of atmosphere the bobos are looking for: anti bling-bling luxury. Who cares if all this smells a bit of Disneyland for creative people? 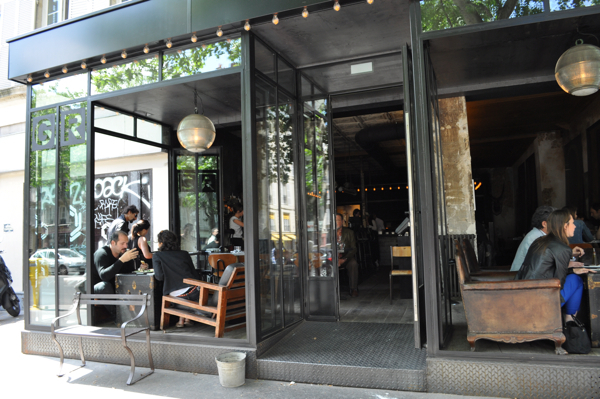 The Parisians are delighted, because that’s exactly how they imagine New York: rough and tough, with the post-industrial charme of Tribeca. New Yorkers will find this so very French. And everybody will be pleased, a perfect match. It’s Julien Cohen, who opened Grazie this spring; he’s the son of Marie-France Cohen, founder of the legendary Bonpoint brand, children apparel, owner of the even more legendary charity shop Merci just a stone throw away on Boulevard Beaumarchais. Grazie is the latest addition to their Parisian family empire. Because this is not Julien's first restaurant: La pizza Chic, L’Altro, Les Cailloux, whatever the Cohens touch they turn into gold. And the food, you might wonder? 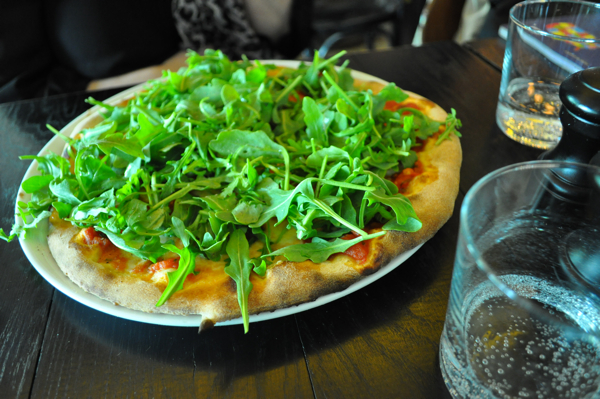 Well, it’s not a miracle, just good pizza, actually one of the better ones you can find in Paris. 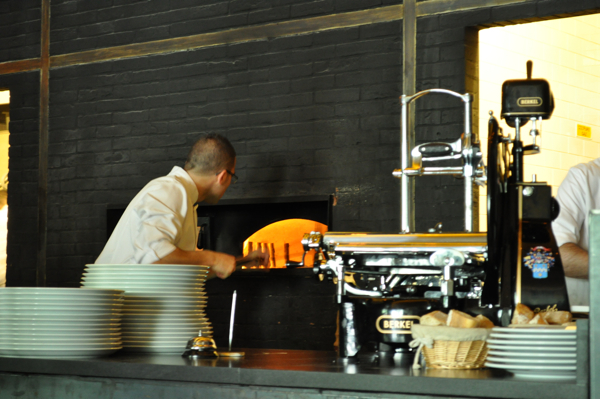 Plus, you can observe the fancy guys pushing the pizza into the flames of the oven. And this already will heat up your heart. But does food really matter when all the beautiful people show up? Even the waiters have black Borsalinos on their heads. I had lunch at Grazie the other day and didn’t try the cocktails, but I’ve been told that there are as extravagant as bar man Oscar, a true pro. He’s mixing concoctions out of gin, honey, basil and grapefruit. Sounds tempting when you need a hazardous accelerator for your evening.